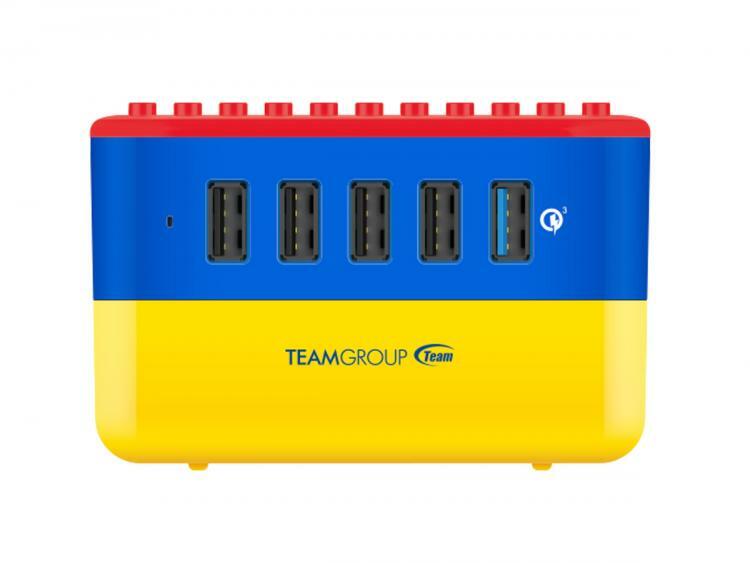 Team Group introduces the Lego-inspired and Lego-compatible WD02 Brick Charger. 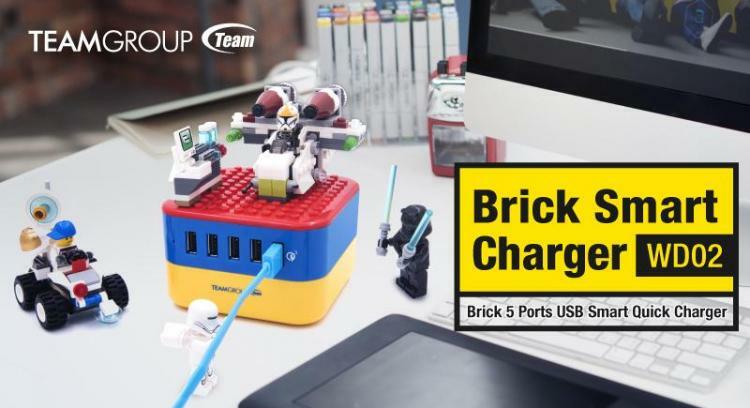 The Brick Charge is a multi-port USB-A charger that can simultaneously charge up to five devices. It supports fast charging and Lego bricks as well. Play with it and add something bright and colourful in your desktop, add Lego sets for a more creative and fun desktop. Watch the introduction video on below. 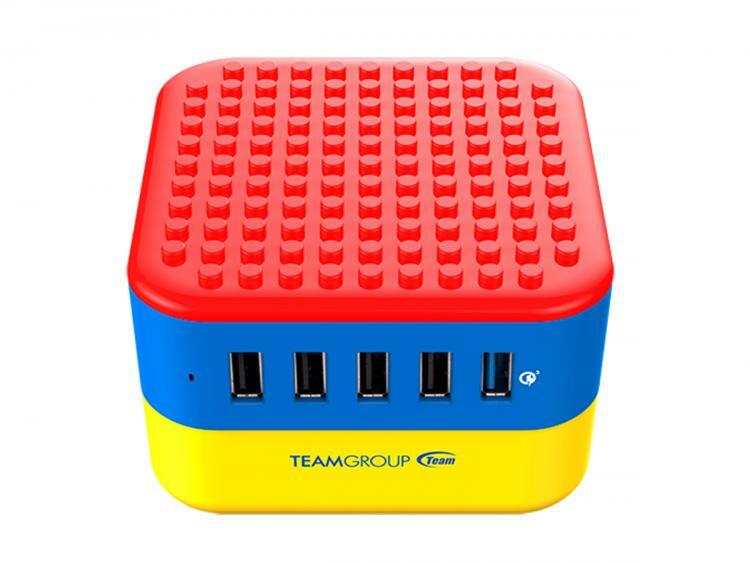 The Team Group Brick Charger multi-port USB charger is a great addition to any builder who’s young or young at heart. Customize and personalize the Brick Charger with Lego sets. The bottom tray of the Brick Charger is a storage space for your flash drives and flash cards. 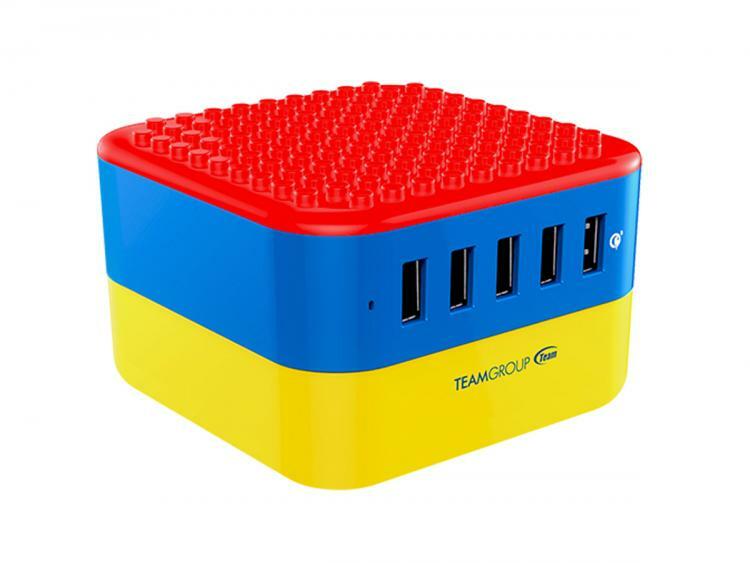 Check out the fun and colourful Team Group Brick Charger at the Team Group website.